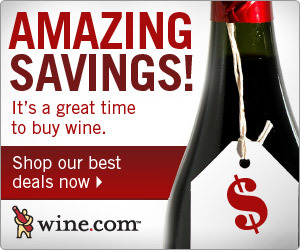 Anything But Chardonnay ("ABC") Wine Reviews periodically provides our readers with current promotions that offer discounts or other incentives for purchasing wine or wine-related products and services through our partner websites. Below is a new offer that we're pleased to pass on at this time. In support of Breast Cancer Awareness Month, WineBasket.com will donate 5% of all spa basket sales for the month of October will be donated to breast cancer research. There are many to choose from including a White Wine and Jasmine Shower Spa Gift Set, the Glorious Garden Gift Basket, or the Olive Spa Treasures Gift Basket.